The article here deals with the derivation of a general expression to calculate the volume of tetrahedron/pyramid bounded by a given plane & the co-rdinate planes (i.e. 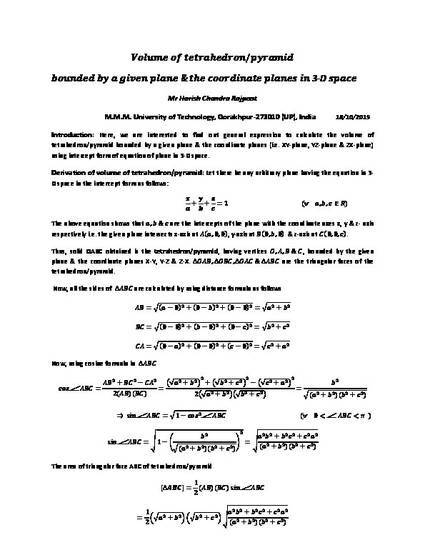 XY-plane, YZ-plane & ZX-plane) using intercept form of equation of a plane in 3-D space. All the derivations are based on simple geometry. These are very useful to directly calculate the volume of the bounded tetrahedron/pyramid.